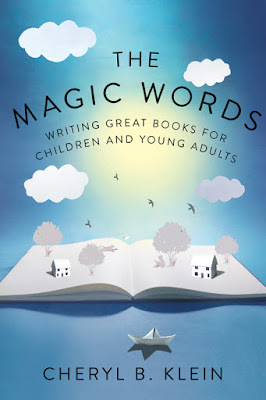 Teaching Authors--6 Children's Authors Who Also Teach Writing: Book Giveaway To Celebrate Our TENTH Blogiversary: The Magic Words by Cheryl Klein! Book Giveaway To Celebrate Our TENTH Blogiversary: The Magic Words by Cheryl Klein! 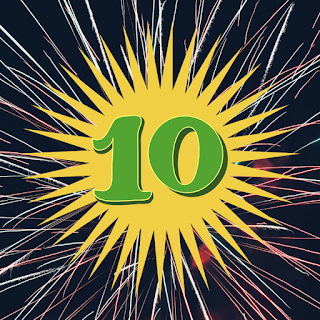 Yes, you read the title of this post correctly--we're getting ready to celebrate the TENTH blogiversary of TeachingAuthors! In honor of this momentous milestone, we'll be giving away a signed copy of The Magic Words: Writing Great Books for Children and Young Adults (W.W. Norton) written by book editor and author Cheryl B. Klein. You'll find the giveaway instructions at the end of this post. I have to say, I was having a terrible time choosing just one from the over 200 posts I've written as my "favorite." Should I pick a post I especially enjoyed writing? Or should it be one that seemed to resonate most with readers? Finally, I "cheated" and looked at the blog statistics to find which of my posts has had the most page reads. Turns out, it was one from our very first year of blogging! On August 12, 2009 I shared a post called "Getting to Know Me--Six-Word Memoirs" that is still among the top 5 most-viewed TeachingAuthors posts of all time. That post was not only fun to write, it also led me to incorporate a new activity into the summer writing camps I teach. The post includes a Writing Workout intended "To engage students in thinking about their lives and to show them how to write concisely." This exercise has proven to be a great hit with my young students. Even reluctant writers can manage to find six words to describe themselves, and often quite eloquently. Published author who enjoys teaching writing. I love soccer, so so much. I am growing. I am learning. I wish I had a panda. The young writers catch on very quickly! We've written about 6-word memoirs here on TeachingAuthors several times over the years. You can read more about them in posts grouped under the tag Six-Word Memoir. "I like to draw...a lot!" 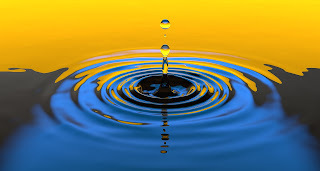 Seeing the ripple effect of our posts has been part of the joy of writing this blog and has helped keep me at it all these years. Thank you, readers, for your continued support and response! We'd LOVE to know some of YOUR favorite TeachingAuthor topics. You don't have to look up the actual post, but we'd appreciate if you would share a comment about a favorite or helpful topic we've addressed. Or, if there's a topic we HAVEN'T addressed that you'd like us to, please share that. To enter our drawing for a chance to win The Magic Words: Writing Great Books for Children and Young Adults by Cheryl Klein use the Rafflecopter widget below. You may enter via 1, 2, or all 3 options. If you choose option 2, you MUST leave a comment on TODAY'S blog post or on our TeachingAuthors Facebook page. In your comment, please mention a favorite or helpful topic we've addressed here on our blog, or a topic you'd like us to address in the future. Note: if you submit your comments via email or Facebook, YOU MUST STILL ENTER THE DRAWING VIA THE WIDGET BELOW. The giveaway ends April 26, 2019 and is open to U.S. residents only. Don't forget to visit today's Poetry Friday round-up hosted at Carol's Corner. I don't always comment, but most love reading about each one's writing process. It helps to learn new ideas or to see that I have something in common with you. Thanks for a terrific and welcome blog! Thank you, Linda @Teacher Dance, for the feedback and for being a long-time reader! I always enjoy reading about the writing process and getting ideas about resources for writers. My favorite part of following your blog is finding out about new books that are available to help create content for kids. Keep up the great work! I love the Writing Workouts. I use them myself and with my students. Thanks so much Danielle, Carl, and Karen. It's so helpful to know what you all most enjoy reading! YOU are the perfect person, Marti, to kick off this series of celebratory Blogiversary posts. I owe you Big Time for inviting me to be one of the ten TeachingAuthors! I like your posts on rhythm in PBs. I enjoy reading your blog no matter the topic. I always learn something, and the Writing Workouts are great exercises! Thanks, Linda. You're the second person to mention our Writing Workouts. We're so glad you find them helpful. And Michele, we appreciate the feedback about rhythm in PBs, too. Esther, I couldn't have started this blog without YOU! I am new to the teachingauthors blog, and came to it through Carmela’s newsletter. I am grateful for the space that she and the other teachingauthors provide for us to grow as writers, and look forward to perusing the earlier posts for writing exercises and advice. Thanks for the chance to win this book! I'll be sure to help spread the word!! I just found out about your blog today and subscribed. Since I'm new, I don't have a favorite blog topic yet, but look forward to reading your posts. Revision is one topic I'm interested in now as I'm working on revisions for an R & R.
I always enjoy your blogs. My favorites are those based on envision. Thanks, Nicole @ Feed Your Fiction Addiction for helping spread the word. Welcome Debra and tarafarah7. I'm so glad you found us! Nancy, it's great to know you enjoy our revision posts, too. 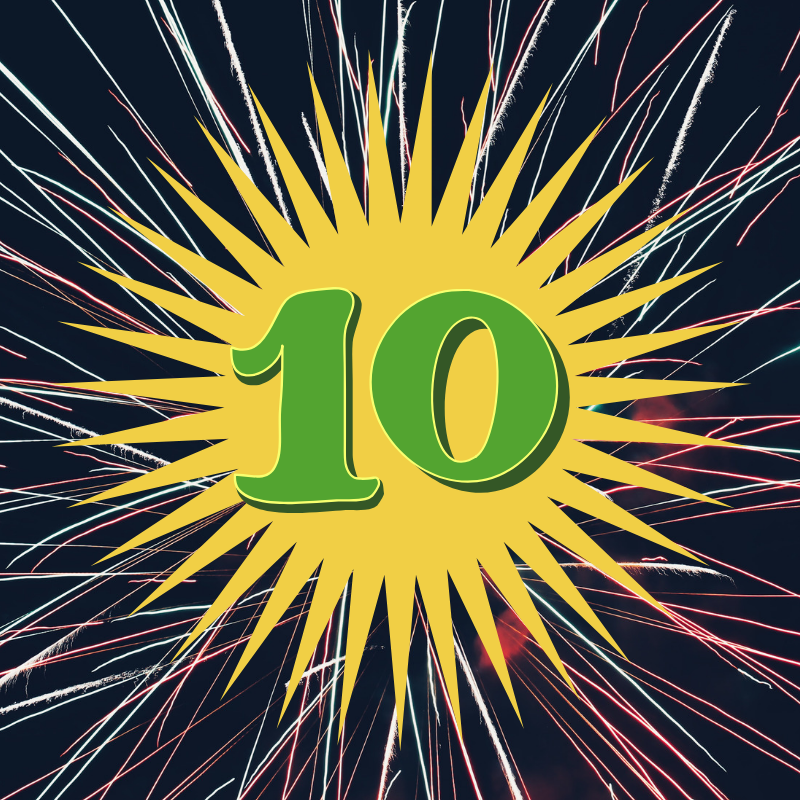 Nice post, Carmela, and Happy 10th Blogiversary! MY VERY FIRST - TERRIFIC - TEACHINGAUTHOR!